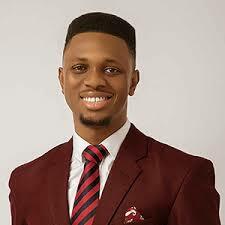 John Obidi is a computer science graduate with a major in computer programming from Benson Idahosa University. He founded Headstart Africa Community (formerly SmartBcamp), a community dedicated to closing the knowledge gap among working professionals in Nigeria. He started out as a Web Development and Programming Instructor in Benin in 2012. In 2013, he started out his career in Social Media Strategy. Then, he worked with several brands and businesses. Onwards, John’s kept rising till he landed a giant client; MTN. With the aim of taking his brand to the next level, he started ObidiSocial.com, a website that creates exposure for brands and businesses on the Internet; using Social Media. The website is focused on empowering SMEs with tools and strategies to help them compete on a global level. He exposes businesses to ways in which they can leverage on social media to increase sales and revenues. He is also a consultant who offers consulting solutions and training to his clients. In 2014, John started SmartBCamp; a community that bridges the gap between working professionals across various professions in Nigeria. SmartBCamp sprang up from John’s weekly Smart Business Teleseminars with people tuning from various countries; all around the world. SmartBCamp is majorly attractive because of all the information accessed on it are totally free! Avance Media listed John Obidi as one of the 100 Most Influential Young Nigerians in the category of Personal Development and Academia. The young and smart innovator was nominated for The Future Awards Africa Prize for New Media. Channels Television regularly hosts John Obidi on their Tech Trends. We Celebrate This Techpreneur as Our Youth Of The Week.